Does Donnie Jordan own Autostar Pageland? Who owns Autostar of Pageland? 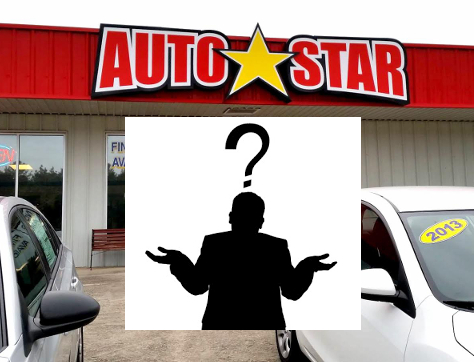 When I visited our Pageland location last month I was surprised to hear people asking: “Does Donnie Jordan own Autostar Pageland?” At first I didn’t understand why people would be asking this. A couple of people helped bring me up to speed. It seems that Donnie Jordan was the owner and operator of the old Pageland Motors store a while back. When we came in to town and opened our Autostar location on the same property it seems some people were skeptical that it was the same owner as before operating under a different name. I’m not sure if those people saw that as a positive thing or a negative thing but I’m glad to be able to set the record straight. Autostar USA is a company that got its start when Waynesville Automotive Group in Waynesville, North Carolina opened its first quality used vehicle location in Canton, North Carolina. It was the first branch of what became known as the “Autostar” franchise. We named it “Autostar of Canton” and it is still doing business under that name to this day. Our next location was opened in Sylva, North Carolina the following year and we kept with the naming scheme, thus “Autostar of Sylva” was born. Waynesville Automotive Group, Hendersonville Automotive Group, Autostar USA and all of its stores are owned by James “Van” Olp and operated by local people we’ve recruited to run the stores. Our operating model is to be the “big city dealer” for small towns and it just makes sense to us to find the best in the automotive business local to you and equip them with a great facility and high quality vehicles to help meet your needs. We find old, closed down dealerships and check the location to see if it will be a good fit. After we’ve scouted it out, we contact the landlord to begin trying to acquire a lease for the property. The same thing happened when we came across our Wadesboro, “Autostar of Wadesboro” location about 30 miles away. When we opened that location at 1425 U.S. 74 we leased the property from Donnie Jordan. When we got settled in and were once again ready to expand, Donnie caught wind and tipped us off to another location of his at 2999 US 601 N, Mangum School Road in Pageland, South Carolina. We went and checked it out, looked in to the area and decided to lease this property from him as well. And that’s how Autostar USA ended up in Pageland, SC and how Autostar Pageland came to be. If the question is: Does Donnie Jordan own Autostar Pageland? The answer is: Donnie Jordan owns the property, 2999 US 601 N, Mangum School Road in Pageland South Carolina. He is the landlord that the business “Autostar of Pageland” owned by “Autostar USA” and operated by locals of Pageland and the surrounding area. So if you’re in the market for a quality used vehicle from the local people you know you can trust, look no further than Autostar Pageland and the massive selection of Autostar Certified Preowned vehicles they offer.